Posted on January 26, 2015 at 9:31 am. Part of my job as the new president of the Ashram is to review what has come before. As I go through old files, I see cycles and recognize that questions such as, “What does it mean to be an Ashram?” have always been asked. The responses are shaped by the time, but the essence is the same. The Ashram is a place to live and learn, where individuals have the opportunity to expand awareness as much as they can. It says something about continuity in change that the Yoga Development Course is in its 46th year. The teachings flow on continuously yet are flexible and expansive enough to be relevant and transformational to even our youngest participants. And as we prepare to build a new Temple, we know that it will continue to hold the essence of the original, even as it integrates change. The paradoxical force of evolution nudges us on, as an organization and as individuals living eternal teachings in the newness of now. And so the Ashram remains vibrant and alive! Easter Weekend: Celebrate the coming of spring in this weekend of Karma Yoga, special activities and quiet reflection time. Personal Retreats and Artist and Professional Renewal Retreats are available year-round. Take time to renew spiritually and creatively. 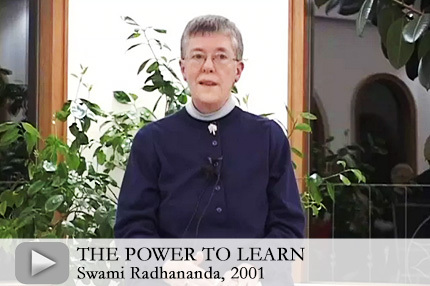 In this 2001 video, Swami Radhananda speaks to the YDC about how the effort and the choice to learn must start with each individual. 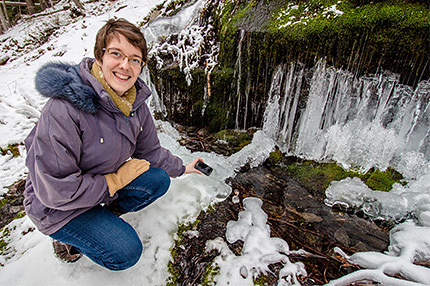 She reminds us of how special it is to be learning in such a sacred place. In the eight months since the Temple fire, the Ashram has been preparing to rebuild and re-dream a new Temple of Light. Here, Swami Lalitananda responds to what it feels like to start again. You were Swami Radha’s assistant during the building of the original Temple. What was it like to work with her at that time? It was thrilling. She was so excited to see the Temple manifest after a lifetime of dreaming it. For her it was literally a dream come true. She always said the Temple was built in the unseen, so its presence joined her inner and outer worlds. She emphasized that the Temple’s real importance was as a reminder of the Light in our own hearts – a symbol, not a building. What does the rebuild mean to the Ashram community? Click here to follow all the Temple updates. We want to thank each of you for your generous contributions to the Temple Rebuild Fund and to the General Fund (for maintaining the Ashram). Your support ensures the teachings and your spiritual home are well cared for. One shining example of this generosity recently arrived in the form of a significant bequest from Swami Durgananda. Swami Jyotihananda offers this tribute to her. Giving was an intrinsic part of Swami Durgananda’s nature. Even before coming to the Ashram, she sent Swami Radha whatever money she could to support her work. Once here she made annual donations from her pensions. This was just one reflection of a person who deeply cared for everything around her, and who continues to give even now. Her generous bequest goes directly to the Temple fund. Her enthusiasm and love of the Temple always shone out from her. My last memory of Swami Durgananda is seeing her dancing from the altar to the sound of the bhajans as she left the Temple – a generous soul who knew that giving back to life was a true joy. Swami Durgananda first arrived at the Ashram in 1978 and passed into the Light on July 19, 2013. Thank you from all of us! Listen to Guenevere’s short audio documentary to hear about what she is learning and her New Year’s stay. Momentum is building for Yasodhara Yoga Halifax since Silver Frith and Carol Putnam started offering classes and satsangs three years ago. During a recent visit to the Ashram they talked about what is happening. Becoming an official Yasodhara Yoga centre last spring along with the website support was a boon and an honor. 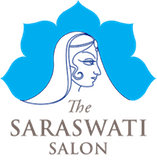 Most significantly, two Outreach visits by Swami Samayananda in 2013 and 2014 quickened the interest in our area. And it feels that interest is building. The presence of a senior Ashram teacher offering rich day-long and evening workshops brought forward a positive response. We are now forming an alliance with a local yoga studio for a more consistent presence for our own classes. 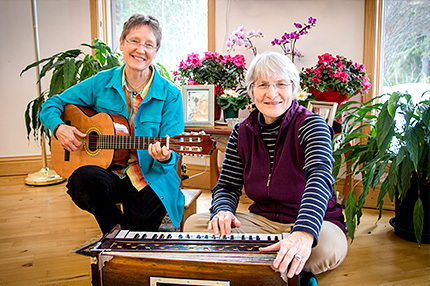 We draw from people who aren’t already connected with Yasodhara Ashram. The simplicity of our satsangs, which are full of ritual and devotion and Silver’s heart-felt music, seems to meet people’s needs. Since taking the Yoga Development Course together in 2011, our own devotional aspects have flowered. It has taken some courage to let that sensitivity come forward so visibly. On January 8, twenty-two participants began their three-month journey of deep self-inquiry and learning through the Yoga Development Course (YDC). In their introductory comments, many students talked about completing their preparations and knowing the time was right. 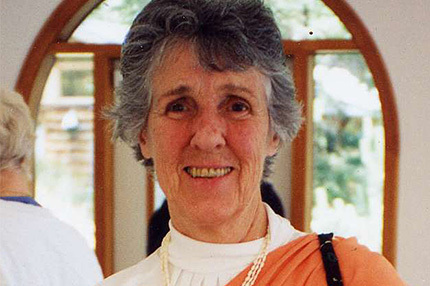 2015 is the 46th year for this life-changing course created by Swami Radha. 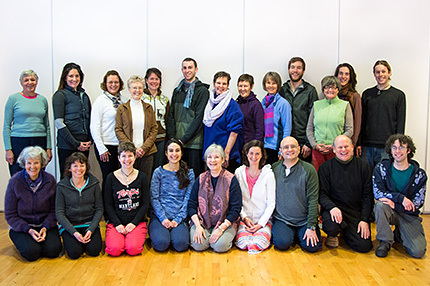 The group offers a diversity of ages, life experience and familiarity with Yasodhara Yoga teachings. For five students, this is their second YDC. An evening tea hosted by karma yogis rounded off the opening day. Interested in the YDC 2016? Find out more! The 10 Days of Yoga, offered in May, July, August and October 2015, is also a great first step. 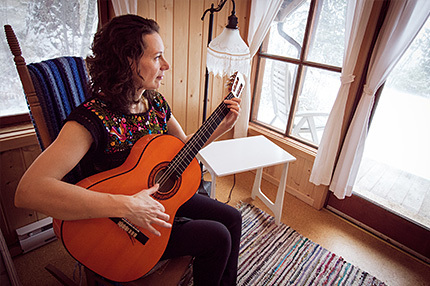 Flamenco guitarist Holly Blazina came to the Ashram at Christmas with the intention of integrating her musical practice with her spiritual practice. Besides working on her music, she participated in a Renewing in the Light retreat and daily Karma Yoga. With the Karma Yoga and retreat I had tremendous insights that were really helpful for me. I thought of pushing certain issues away while here, but wonderfully they raised themselves and provided insight that I can take back into the world. I was happy to share my love of the Flamenco tradition in a “Lunch and Learn” session and to offer a new musical composition at satsang. Performing music in a spiritual environment is completely different from just giving a performance. The idea of actually doing my musical practice as an offering to the Divine came to me during the Renewal in the Light retreat. A delicious piece came up. Now I want to offer my musical practice as part of my spiritual practice. This has really made itself clear in my time here. 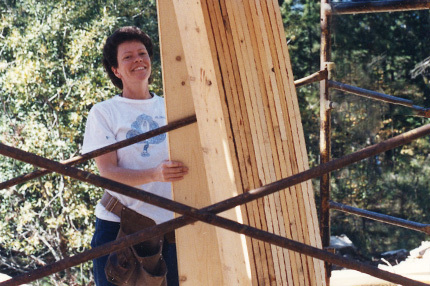 Check our website to learn more about retreat opportunities at Yasodhara Ashram. Dance and Satsangs in Nelson – Rebecca Dale is offering a Sacred Dance Class in Nelson on Saturday, January 24 from 1:30-4:30 pm PST. This is a great opportunity to use your body as an instrument of devotional expression. No dance experience is required. The next monthly satsang offering is February 8, 7:30-9 pm. Find more details on Rebecca’s Yasodhara Yoga Nelson page. Come Support the YDC – We welcome teachers and karma yogis to come to the Ashram to offer support during the Yoga Development Course. You can come for a short or an extended stay. Check out the possibilities with Registrations. News Media Takes Notice – Three local newspapers carried stories about our plans for rebuilding the Temple of Light in response to an Ashram news release. We appreciate the interest of the Nelson Star, Cranbrook Daily Townsman and The East Shore Mainstreet. In addition, CBC Radio Vancouver interviewed Swami Lalitananda about our New Year’s Eve celebration. The interviewer remarked on how peaceful our activities sounded. Facebook Friends Grow – The number of ‘likes’ on our Facebook page surpassed 3,000 in early January. Facebook is a good way to stay up-to-date on activities around the Ashram. Check it out, or if you are already our Facebook Friend, invite your friends to ‘like’ us too! 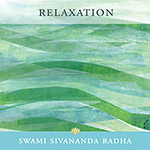 Celebrating Swami Radha’s Sanyas – On February 2 we will celebrate the inspiration of Swami Radha’s sanyas initiation. Join us in spirit; consider what you are initiating in your life. Meeting the Challenge – The response of our community to a January snowstorm and 30-hour power outage was impressive. See more about arrivals by snowshoe and meetings by lamp-light on our Facebook post. Choose what inspires you from the past two years’ videos, audios and reflections. You might find one particular theme that speaks to you, or you may want to mix and match from different months. Here are the guides from 2013 and 2014 with links to the reflections. We hope you enjoy exploring the wisdom of the past and dreaming up a bright future!